The Vapor Glass Bowl is a revolutionary All Glass Hookah Bowl that allows for the Flavored Tobacco juices to stay inside the top of the bowl instead of running down the inside of the bowl, allowing for an extended and enhanced smoking session. This Glass Hookah Bowl features a vortex style design, is very sturdy, and offers universal connectivity as intended for use with all six Glass Hookah models (Version 2.0 Models Only) by Vapor Glass Hookahs. 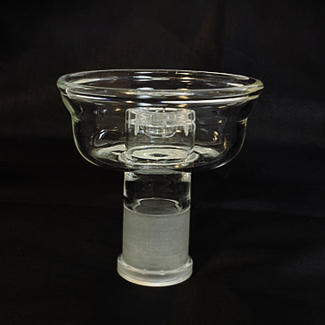 The Vapor Glass Hookah Bowl can hold approximately 25 grams of Flavored Tobacco. 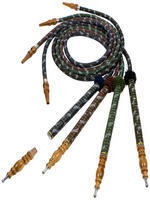 Dimensions Use with any Glass Hookah model (Version 2.0 Models Only) by Vapor Glass Hookahs only.